We can help you extend your client's multimedia campaigns into the mobile space. Click here to download our presentation showing how. Our team of experienced artists, programmers, and designers will work with you to create custom Android Apps, Iphone Apps, Iphone Games, and Android Games designed specifically for your market. 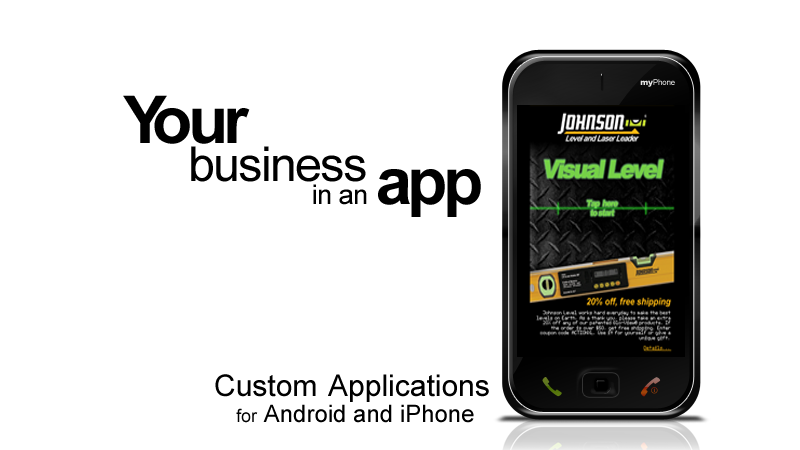 Johnson Level & Tool Mfg. Co., Inc. wanted to reach out to potential customers through "show me, don't tell me" advertising. Browse our current list of Android Apps, Iphone Apps, Iphone Games, and Android Games. Watch videos of gameplay, review the download stats, and check availability. Copyright © 2010 ActionXL LLC. All rights reserved.